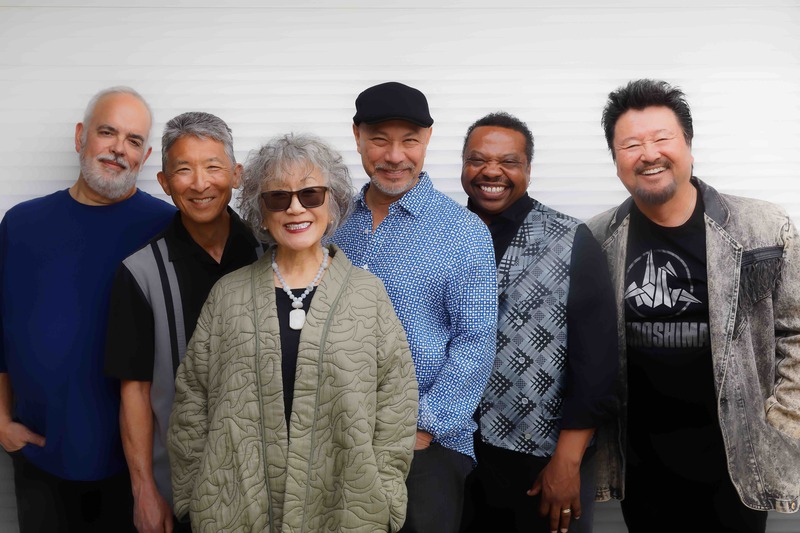 Hiroshima makes two Northern California appearances in April to kick off their 40th-year tour. They travel to the World Theatre at CSU Monterey Bay on Saturday, April 13, and The Sofia, Home of B Street, on Sunday, April 14. “2019? Guess it has been 40 years. Amazing, and we are still here. Thanks to you all. Along the way we’ve garnered many awards including Grammy noms, gold records — a ton of lifetime achievement awards — but the main reason we are still around is because of you. “You can’t imagine how much it touches us that so many have told us how ‘A Thousand Cranes’ has changed their life, or how ‘One Wish’ is STILL their favorite song. “That 38 years ago when we first played Howard University in D.C., that night was transformative both musically, culturally and spiritually for all of us there. That our ohana in Hawaii has supported us through thick and thin. “When we played the North Sea Jazz Festival in Capetown, South Africa, no journalist interviewed us — we started our set at the big outdoor stage with only a few hundred in attendance. And by the end of the show there were over 10,000. “I remember the brotherhood with a remarkable band from Durban, doing Indian/African music, waiting hours to talk to us, to share the vibe of multicultural art and culture. A bond. “So, two years ago we thought maybe we are done. We’ve had a great run. Impossible, really — after all this time, how many Asian American bands are on the musical landscape of this country? In our over 20 albums, we continue to explore musically and spiritually, and we know that makes for a real challenge to our audience. We like to think we continue to evolve. One thing for sure — when we stop evolving we will be done. “So, this year we are planning to start a 40th anniversary tour. More a celebration of you and all those who asked, ‘What’s a Hiroshima?’ (June has a great story regarding that question and Stanley Clarke and Jaco Pastorius, who long ago were curious enough to walk into the Roxy in Hollywood to hear us!) This ‘tour’ sort of starts this spring and will likely run into the fall of 2020 or so. The Sofia, Home of B Street! Friday, April 19, at 8 p.m.
430 S. Tryon St., Charlotte, N.C.
Sunday, April 21, at 5 and 9:30 pm. 2800 Breckenridge Ln., Louisville, Ky.
For a complete schedule, visit www.hiroshimamusic.com.